My advice is simple. If you are a start-up or small business, consider setting up your email hosting with Google – it’s free and comes with truck-loads of features. But before you start popping champagne to celebrate, there are some technical jargons you need to know. 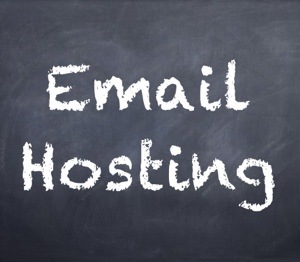 For an email to work, you need two things: a domain name and an email hosting provider. Let me use an analogy to make it easier for you to understand. You need to register a domain name with a domain registrar which you can think it like putting your domain name (yourcompany.com) in yellow pages which directs people to your (internet) address. The address is then pointed to your email hosting server which is a physical computer connected to the internet to manage your emails sending and receiving. If you did not put your domain in yellow pages, nobody knows where to go if they want to send an email to you. With this understanding, the Google App is your email hosting server but you need to register a domain name first. Even though the email hosting is free, you still need to pay an annual fee for your customized domain. Your next consideration will be to register either an international domain (.com, .net, .org or etc) or a Singapore domain (.com.sg, .net.sg, .sg or etc). If your decision is for the later, you will need to register it with a local domain registrar first, like IP Mirror or Signetique, before you go ahead to set up a Google App account. It is easy to set up a Google App account as there are instructions and explanations along the way. You may either search for Google App to find the registration page or to use this link to go directly. Take note if you search for Google App, though, that you might see an option to start a free trial. Do not use that to set up an account since it is to create a Business account which is chargeable. Take a look at the comparison to choose which account suits you better. Let me know if you have any trouble setting up one and I will try my best to help you.